Arsenal have cruised into the last 32 of the Europa League, and Kevin Hatchard believes they'll rack up another win against Qarabag on Thursday night. "Qarabag have fallen short in this competition, and even a weakened Arsenal should sweep them aside." Having already won the UEFA Europa League three times as Sevilla boss, Arsenal manager Unai Emery has a deep and enduring respect for the competition. That much has been obvious in his approach - rather than seeing trips to Azerbaijan and Ukraine as a burden, he has seen these games as an opportunity, either to bed down his new style or to give youngsters an opportunity to shine. Given the talent at Emery's disposal, taking the Europa League seriously was always likely to yield good results. Arsenal have won their group with a game to spare, dropping just two points so far. A victory against Qarabag would leave the Gunners with 16 points from six matches. Arsenal have won their last two home matches in the Premier League, and they beat Azerbaijani side Qarabag 3-0 in the reverse fixture. The north London giants have put together an unbeaten run of 21 games in all competitions, a sequence that stretches back to mid-August. 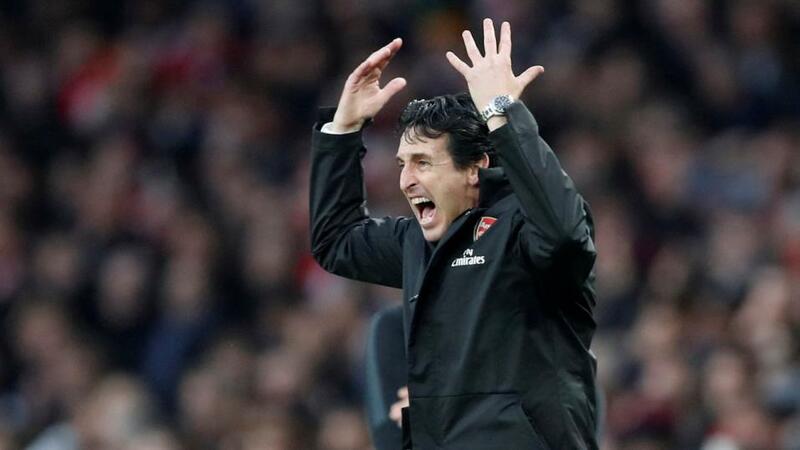 Emery is likely to shuffle his pack, with a Premier League trip to Southampton and a League Cup quarter-final against Spurs on the horizon. Youngsters have really come through for Arsenal in this competition - teenagers Joe Willock and Emile Smith-Rowe both scored in the last game against Vorksla, and both are likely to start here. Last season, Qarabag garnered some fame by twice holding Atletico Madrid to draws, as the ultra-competitive Spanish side crashed out of the Champions League at the group stage. There have been no such European heroics for the Azeri champions this time around - they slipped out of the Champions League qualifiers against BATE Borisov, and in the Europa League they have failed to compete. Qarabag have claimed just three points from the UEL group stage, losing four of their five matches. They were hammered 6-1 at home by Sporting on Matchday Five, and lost 3-0 at home to Arsenal earlier in the group. If you look at their recent away form in the UEL, they have lost eight of their last ten away games in the competition. Arsenal won't play anywhere near their strongest eleven, but I'm confident they'll beat a Qarabag side that has fallen short in this competition this season. Three of their group-stage wins have been by two goals or more, and I'll back the Gunners -2.0 on the Asian Handicap at [2.08]. Given that Qarabag just leaked six goals against Sporting, it's no surprise to see Over 2.5 Goals trading at [1.53]. That bet has landed in three of Arsenal's five UEL games, and four of their last five matches in all competitions. You might even be tempted to back Over 3.5 Goals at [2.32].